Is there a better alternative to DailyDo? Is DailyDo really the best app in Personal Info Managers category? Will DailyDo work good on macOS 10.13.4? DailyDo is your answer to other complex and expensive to-do apps. 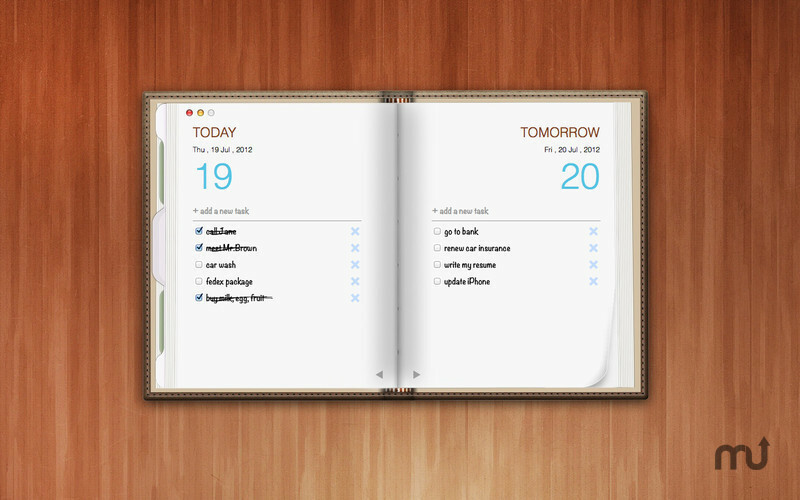 DailyDo brings you a fantastic to-do and task manager. You can write your tasks on the beautiful notepad. When you are done just check the box and your tasks will appear on menu bar with Todo Pad. Todo Pad is an easy way to review and check the tasks. You can manage notifications by clicking on the setting icon. DailyDo has a great time-based notification system so you never miss a task! You don't need to install "Growl" to use the notification system! DailyDo needs a review. Be the first to review this app and get the discussion started! DailyDo needs a rating. Be the first to rate this app and get the discussion started! Watch DailyDo video in action!